What does the P0705 code mean? The P0705 indicates that there is a problem with the Transmission Range Sensor, also called Transmission gear position switch, which will probably make a bit more sense to you. When the transmission control unit receives a faulty signal from the range sensor, the transmission control unit will send a signal to the engine control unit and it may light up your engine light. 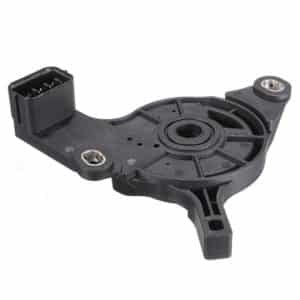 The transmission range sensor is located on the outside of your transmission box in the most cases. From your gearstick, there will go one or two “wires” that controls the gears on the transmission. Instead of having a sensor directly located at the gearstick (Depending on the car model), the sensor is located at the transmission. The sensor is telling the transmission control unit if your gearstick is in Neutral, Park or Drive etc. Replace Range sensor / Transmission gear position sensor. Adjust the Range sensor / Transmission gear position sensor. Due to the safety function when you can only start your vehicle in Neutral or Park, the sensor may send a false signal to the transmission control unit and your vehicle may not start when there is a problem with the range sensor. In the most cases, you can experience that your transmission does not want to select the gear that you want. Here are some of the most common symptoms. The most common cause is a faulty range sensor, but it can also be the wirings to it or the communication between the control units. Here are the most common causes. Misadjusted Range sensor / Transmission gear position sensor. Faulty wirings to the Range sensor / Transmission gear position sensor. In the most cases, the actual range sensor could have an internal damage. But if you are lucky, you can try to adjust the sensor a bit to make it work. How you adjust it, I will tell you in the diagnose section down below. This is a guide of how to diagnose the P0705 code the fast way. I will describe how an automotive technician would do the troubleshooting. This guide may require some car electric skills and some tools. If you do not have a lot of knowledge in cars, you can check it and probably get a clue of how to do it. Before you are doing any troubleshooting, you should always connect a car battery charger. When you are troubleshooting your car with the ignition on, there is a risk that the battery will drain out. Low voltage can trigger more trouble codes and confuse your troubleshooting. It can also cause damages to your control units and other electronics if you are unlucky. An OBD2 scanner that can read the data of the transmission control unit is required and will make the troubleshooting a lot easier. Most of the cheaper ones can only read the generic engine code memory. Check if the OBD2 scanner is compatible with your car model and can read the transmission control unit before you are buying one to solve this code. With your OBD2 scanner, go and check the live data in the transmission control unit. Check the signal from the Range sensor. When the shifter is in Position, you should get a “Position” value from the range sensor. Check through all gear to see if it is correct. In many cars, you can also check this value in the engine control unit. If possible, check it also to make sure that the connection between the engine control unit and the transmission control unit is correct. In many cases, an adjustment of the sensor is possible and it can solve the problem. With time, the sensor gets worn out and may need an adjustment. You can often loosen two or three bolts and turn the whole sensor. Turn the sensor and check the values you get with your OBD2 scanner. Try to adjust it so the shifter stick matches with the value of the sensor. If the adjustments of the sensor did not work, you have to measure the wirings to the sensor. Check for any corrosion in the connector plug and if you find it, clean it and try again. To measure the wirings you should use a diameter and get a wiring diagram for your car model. In the most cases, there are around 4-6 different switches in a range sensor. When one gear is selected, it will ground the wire and the transmission control unit will register it as a gear. But you should always get a wiring diagram for your vehicle. You can also check for any short circuits or open circuits with a Digital multimeter if you have a wiring diagram. To get a wiring diagram, you could either search on the web, call your authorized dealer or ask us at our homepage. If you have measured all the wires, and the adjustment did not help, you should replace the range sensor. After replacement of the sensor, you have to do a new adjustment with the OBD2 scanner to make sure it’s good. After the adjustment, erase the trouble codes and drive for a distance to make sure that everything is working properly. If you have any other questions about the P0705 code, comment down below and I will answer you as fast as possible. If you have any other car questions you are welcome to ask us at our homepage. To find all OBD2 codes. Check our OBD2 Code List. Mersedez c250 p0705 my Machanic saying conduct plate ? The conduct plate can be integrated together with the transmission range sensor yes!